Argyle has something of a unique status among Canadian PR firms. It is both one of its oldest, having started life in 1979, and one of its fastest-growing, following a management buyout in 2003. And its offering effectively doubled in size earlier this year when it merged with ChangeMakers and Context, two of Western Canada's premier consultancies. The deal gives Argyle a team of 80 professionals in seven cities, with annual revenue of more than $17 million. Meanwhile, the firm’s Public Relationships Index also showcases its thinking to good effect, helping explain the longevity of its assignments for such clients as Facebook, Instagram, UPS, Enterprise Holdings (Enterprise, Alamo and National Rent-a-Car), MD Financial (a division of Scotiabank) and AbbVie Pharma. And there was plenty of new business too, from Canada Pension Plan Investment Board, Desjardins (one of Canada's largest financial institutions), Novo Nordisk, Grant Thornton and the Ontario Association of Optometrists, adding to a client roster that also includes Saputo (Canada's largest dairy processor), GSK, Takeda, Kal Tire, Dietitians of Canada, World Animal Protection and various assignments for federal and state governments. Under the leadership of owner and CEO Daniel Tisch, Argyle's focus has been on integrating its new capabilities and staff. The leadership team includes new appointments in COO Stefan Moores, marketing EVP Correy Myco and Western Canada VP Krista Bax, who join a senior bench that also features consumer marketing SVP Alison George, healthcare SVP Rob McEwan and SVP Roanne Argyle. There is also a range of proprietary offerings that help distinguish the agency from its rivals, including an exclusive co-branded reputation management and measurement service with the Reputation Institute, and the aforementioned Public Relationship Index. And the additions of the two new firms significantly elevates Argyle's capabilities in public engagement, public health and creative/social marketing. MSL’s Canadian affiliate North Strategic (acquired in 2016) has been a fixture on this list in recent years, but over the past 12 months the three MSL Group brands in Canada — MSL itself, North, and production company Notch — have been working more closely together under Canadian chief executive Mia Pearson, one of North’s founders. Peason spearheads a leadership team that includes fellow North co-founder Justin Creally, now the firm’s managing director and Notch managing director Ian Buck. The firms were at the forefront of the biggest news story in Canada over the past 12 months, the legalization of cannabis in October, moving swiftly to position itself as the communications partner of choice for companies in the newly legal sector, handling investor relations (as cannabis companies went public) and marketing support (PR taking the lead because advertising is still restricted). Clients in the sector include Cardiol, Dutchman, Scientus Pharma, and Westleaf. There was additional new business from Allstate, BMW Canada, Henkel, Lyft, McCormick (for brands including French’s, Frank’s Red Hot, and Club House), and Tim Horton’s, joining a client roster that includes American Express Canada, Samsung Canada, BMW Canada, Canada Goose, and Diageo (Guinness, Johnnie Walker, Smirnoff, and more) at North Strategic, and MSL’s P&G relationship. Great work included relaunching Cover Girl’s “Simply Ageless” campaign, elevating inclusiveness and driving a sales lift for the brand in Canada, and influencer and experiential marketing work for American Express. Our 2017 Canadian Agency of the Year continues to impress, with 75+ staffers generating fee income of more than $11m. Originally established in 1993 as a healthcare communications specialist, Veritas has diversified over the years and today focuses on 'influencing the influencers,' drawing on a 'custom convergence' model that brings together cross-functional teams and multichannel solutions to ensure the appropriate solution for a range of complex challenges. And that approach was taken a step further with the launch of sister agency Meat & Produce, which intends to shape how the industry approaches the creation of influencer content, by housing influencers in a WeWork-like setting with full studio capabilities in order to create realtime content. Based in Toronto, Veritas has built its reputation by staying ahead of the increasingly complex and changing media universe, an approach that is clearly paying off if the firm's stellar campaign work is any guide. Now counting additional offices Montreal, Vancouver and New York, Veritas’ new business included Airbnb, Uniqlo, Prada, Waze, Lowes, CannTrust and Revlon Professional & Prestige. They join a client roster that already includes Microsoft, Subway, Kijiji, Labatt and Kimberly Clark. It would be easy for the Canadian operations of a US market leader like Weber Shandwick to rely on network business for sustenance. 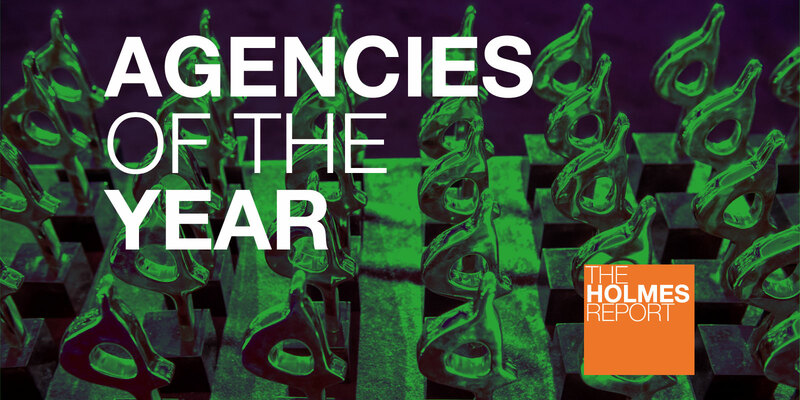 But last year’s Canadian Agency of the Year continues to stand out for its self-reliance. Whether it is attracting the best Canadian talent or working for Canadian passion brands, Weber Shandwick stands out north of the border for its local market expertise, drawing on a team of more than 70 in offices in Toronto, Montreal and Vancouver all operating under a single P&L, with of course the ability to draw on a global network if needed. That approach delivered very healthy 14% growth in 2018, and Weber Shandwick now appears to be a top five agency in the Canadian market — and one on the rise. The company has worked with McDonald’s in Canada for more than 30 years, and has agency-of-record relationships with Bayer CropScience; Royal Bank of Canada (for which it leads influencer, citizenship and reputation management efforts); and GM Canada. It develops digital content for the Florida Department of Citrus and also supports Air Canada across earned, social and paid channels. The healthcare practice works with Astra-Zeneca, EMD Serono and Roche, among others. Key new client wins over the past 12 months include Amazon Prime, Labatt Brewing Company (corporate communications), IBM, Mondelez Canada (Cadbury), leading Canadian law firm Fasken, Best Buy Canada, Manitoba Hydro, Experian and Embraer. The firm’s new approach—focusing on the “whole idea” rather than the traditional big idea, integrating creativity and purpose; a new reputation risk practice led by CEO Greg Power; emphasizing mastery of all media and platforms—appears to be resonating with clients. It isn’t every day that an eight-figure account comes up for grabs in Canada. And it isn’t often that a PR agency beats out a host of other disciplines to lead a campaign that includes paid media (digital, TV, out-of-home), influencer marketing, experiential, digital and social, research and analytics to serve as lead creative agency on such an account. So when Zeno Group was selected by the Turkey Farmers of Canada to lead an eight-figure, five-year campaign to sell more turkeys in Canada, it really put the agency on the map. Zeno’s Canadian operations are hubbed out of Toronto and led by managing director Julie Georgas, who founded Toronto-based social and influencer firm Instigator Communications, which she led for 10 years before joining Zeno two years ago. The business grew by a very healthy 25% in 2018 — without the benefit of the turkey win, which kicked in this year — thanks in part to expanded assignments with Johnson & Johnson — adding work with the Tylenol, Reactine, Benadryl and Listerine brands.